…and you can also save 15 percent on the Points & Cash option. Both of these offers expire in a few hours — and you want IHG Rewards Club points to add to your membership account. Which would be the better option for you? Before deciding, let us take a look at each option more closely — and that includes a third option through which you have the opportunity to earn bonus points through a special bonus points package rate as part of the Cyber Week Sale; but I have not been able to access that option any longer. There is nothing like getting double of what you want for the same price, right? With a minimum purchase of 5,000 points and a maximum purchase of 100,000 points, you earn double IHG Rewards Club points on your purchase. If you purchase 100,000 points for a total of $1,000.00, you get an additional 100,000 points at no extra cost. This breaks down to 0.5 cents per point or two points per one cent. This is supposedly an exclusive offer for the intended recipient only and may not be forwarded or transferred. Bonus points will be awarded upon completion of the transaction. Bonus points will be awarded to the recipient of the points purchase. Offer is subject to change. Offer cannot be combined with any other offer. Only purchases made online are eligible for the bonus. Price includes all applicable fees. Purchased points are not refundable and are applicable toward all IHG Rewards Club awards. Members may purchase a maximum of 100,000 points per calendar year and receive as a gift a maximum of 100,000 points per calendar year. Please allow 72 hours for points to post and appear in the account of the recipient. When you book a reservation using the Points & Cash option, you have five choices: either pay for the entire reservation with IHG Rewards Club points; or choose from four variations of redeeming points for a portion of the reservation and paying the remainder with cash. Upon completion of the Points purchase, you agree that the total U.S. dollar amount will be immediately charged to the valid credit card or approved payment method you specified. The cost for the Points purchased is non-refundable. If the Reward Night is cancelled in accordance with Reward Nights terms and conditions and with the hotel’s cancellation policy, the purchased Points will be re-deposited into your IHG Rewards Club account. This means that you have actually purchased points with the cash portion of the reservation; and if you cancel your reservation, the points you purchased — along with the points which you redeemed — will be added back into your IHG Rewards Club membership account. Using The Willard Hotel Washington D.C. as an example, I can redeem 70,000 IHG Rewards Club points for the reservation — but four options are also available with different combinations of points and cash. When choosing the option of redeeming 50,000 points while paying $97.75, you could decide to cancel this reservation and have 70,000 points returned to your membership account. This works out to 0.48875 cents per point — and I saw no taxes added to this particular reservation. This option appears to no longer be in effect, but it is being highlighted here anyway in case you are interested and successful; but IHG Rewards Club Bonus Points Packages gave you the opportunity to earn a minimum of 1,000 points and a maximum of 5,000 points per stay — and when you book your reservations by Friday, November 30, 2018, you will receive 50 percent more points on stays through Monday, December 31, 2018. Simply select your room type and add an available package at any participating hotel or resort property. Your bonus points count toward earning and maintaining your elite level status. After qualifying, please allow four weeks for bonus points to post to your account. 50 percent bonus is based on points member earns from Bonus Points Package rate only. To be eligible for this bonus offer, your membership account must be open and not in default at the time of fulfillment. You must be a member of the IHG Rewards Club frequent guest loyalty program or enroll prior to stay. Rates are limited and subject to availability. Bonus points or miles will be awarded upon the terms of the Bonus Points Package and completion of stay. Only one member per room will be awarded the applicable bonus points or miles. 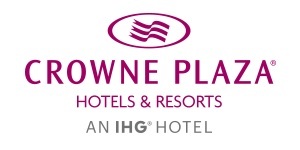 You must be a miles collector with a preferred earning alliance within your IHG Rewards Club member account in order to collect miles for staying at InterContinental Hotels Group properties, as points will be converted into airline miles upon completion of stay for below Bonus Point Packages only. If you are a miles collector, please see chart below for mile conversions. All airline program terms and conditions apply. Package components may vary by region and by hotel. Any unused components of the package are non refundable. No retroactive points or miles will be awarded for nights stayed prior to enrollment. Blackout dates may apply. Rates are per room, per night; and extra person charges and rollaway bed charges may apply. Rates do not include taxes, gratuities, or incidental charges, including food and beverages. A stay is one or more consecutive nights at the same hotel or resort property — regardless of the number of times you check in or check out. Of the three options as a result of my minimal research, I was slightly better off with reserving a hotel property with the Points & Cash option — probably too negligible of a difference to care unless you want a substantial amount of points — but that depends on which hotel or resort property you choose, of course. I cannot seem to get it to work; but earning bonus points through a special bonus points rate package was the most expensive option of the three — I know this through past research because I could earn 6,600 bonus points when I book two Bonus Points Package stays and get to my next reward faster through the current double points promotion — but no limit exists as to how many points you can purchase through this method, and at least the points also count towards elite level status. For all of options discussed in this article, other restrictions, terms and conditions — including those of the IHG Rewards Club frequent guest loyalty program — apply. If you are looking to save money on boosting your IHG Rewards Club membership account, you only have hours left to do so.